Today I am announcing the winner of the Giveaway where anybody could enter by commenting on the January calendar post on this blog. I’ve also got the page I’ve decorated for February in my Mother’s calendar to show you. All those who commented on the relevant post on my blog during January had their names put into a box and a random one was drawn out to get the unopened CD-ROM that I’d got two of. 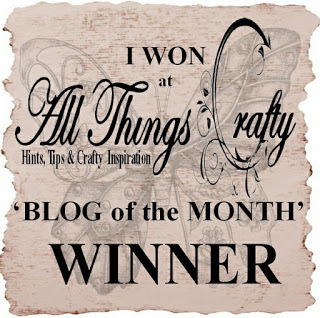 The winner is Karin van Eijk (Karin, like me, is a crafting blogger. 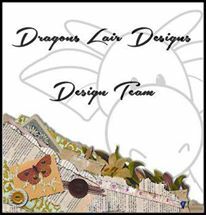 You can see her blog here – https://karinsartscrap.blogspot.com/). 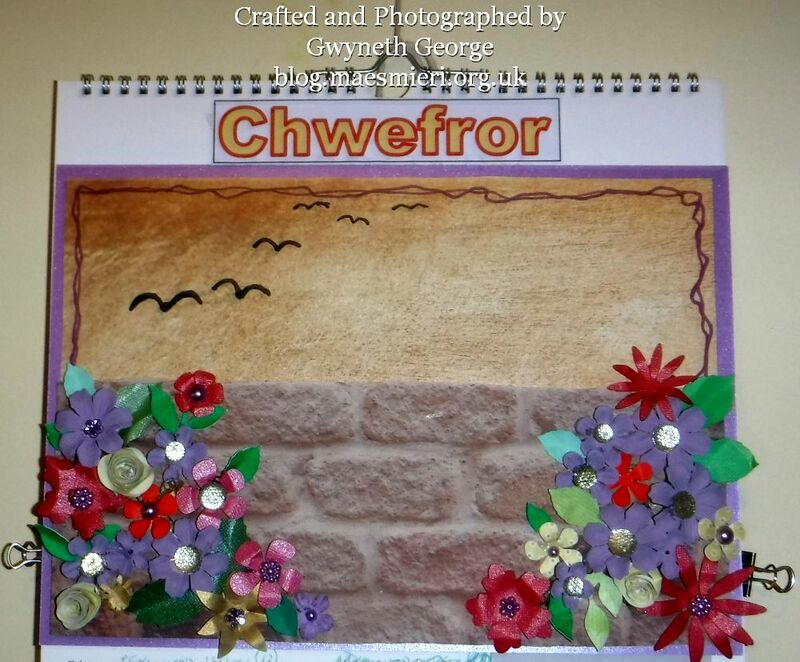 If you are not already aware – for a few years now I have been buying my mother a blank Papermill Direct calendar every year, and as the year progresses I’ve been decorating the pages in a variety of different ways. (You can see the January one – Here!) Sometimes she askes for something specific and sometimes she tells me to surprise her. 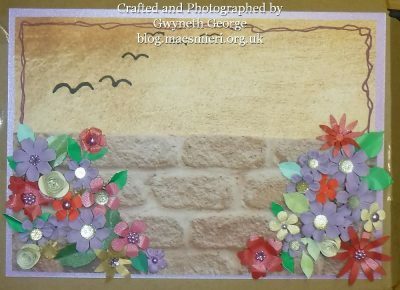 This month I’ve gone for a cascade of paper flowers. 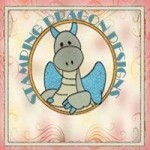 Both backgrounds are from the Fancy Fretwork USB that has lots of SVG cutting files and .jpg background designs. They were printed onto good quality, 120gsm paper. The purple cardstock that’s framing behind the background, as well as the purple flowers and pearls used to decorate, are from the Hobby House Colour Collection – Periwinkle. 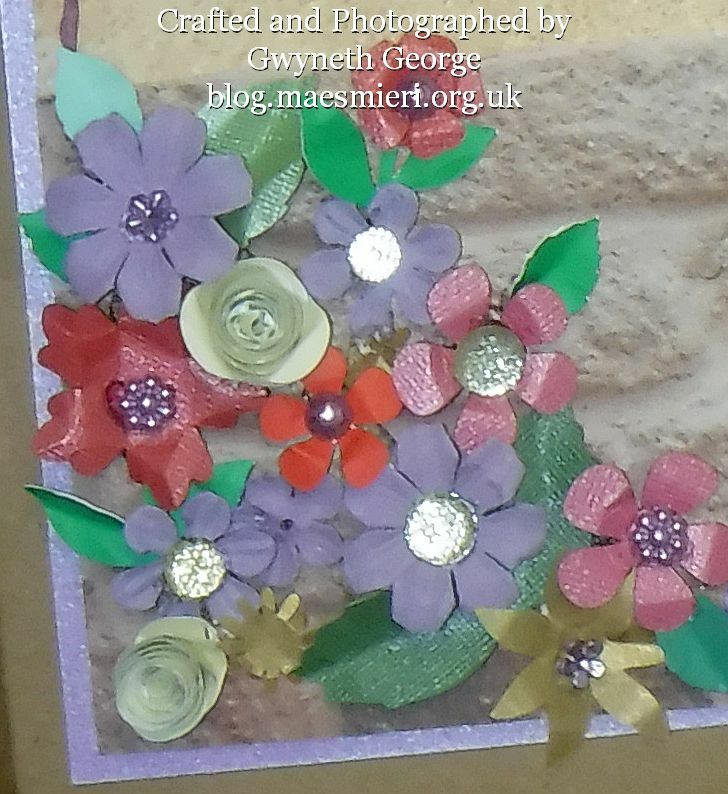 The rest of the flowers and leaves are from my stash – Every now and then, when I have odd bits of cardstock, I either lay them on the cutting mat of my ScanNCut and set it to cut lots of different flowers or leaves depending on the colour, or I put them through a die-cutting machine with various sized floral dies. I keep all the flowers and leaves produced in a box to pull out when I need a quick flower on something. Fingerlift Tape was used to stick the cardstock to the calendar, and the main backing to the cardstock. 2mm deep, double sided, foam tape was used to stick the “wall” background in place. I then used Pinflair Glue Gel to stick the cascade of flowers and leaves down either side. I finished off with some “birds” in the sky – drawn with a black Nuvo alcohol marker. Here’s the work before it was stuck on the calendar. 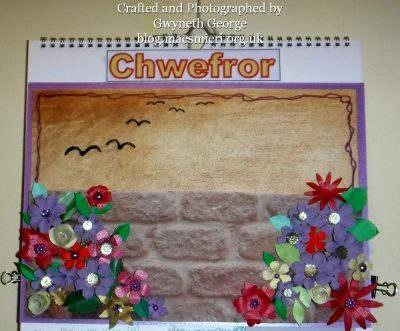 I also printed out the month title, Chwefror, (Welsh for February,) to cover the title already there. This is what the calendar page looks like when finished. I’ve nearly finished my next YouTube video, so keep an eye out for my next blog post in a few days time, as in addition to showing you how I make something – I will also be giving that something away for those who comment in the relevant places between then and the end of February.